London Belongs to Me is a wonderful debut novel by Jacquelyn Middleton. I loved the characters and the exciting setting right from the beginning. Once I picked up the book, it was incredibly difficult to put down. The characters were fun and entertaining and I kind of wanted them to invite me into their group of friends by the end of the book. Alex is a young playwright who moves to London to achieve her dreams. She runs into a few snags along the way, but she also has a lot of great experiences throughout the story. I loved all of the pop-culture references and totally felt like I was fan-girling right along with the characters. Middleton's writing was so realistic and made me feel like I was part of the group. I felt happy when Alex was happy, and angry when people treated her poorly. I loved it! 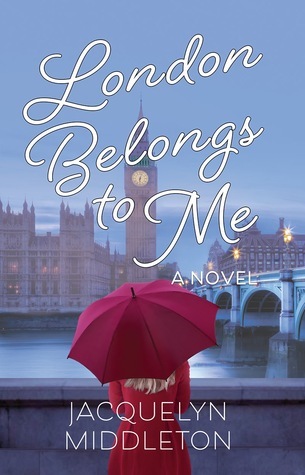 I thoroughly enjoyed London Belongs to Me from start to finish and didn't want it to end. I would highly recommend this book to friends, especially those who love to fangirl over pop-culture references like me. Well done, Jacquelyn!